If you’re a physician assistant, there’s really only one question you need answered: Where do you want to work. The answer will probably depend on a variety of factors, and how much weight you put on each. Pay, job prospects and career advancement opportunities typically top the list. But when you consider that physician assistants are in incredibly high demand these days, other factors seem to take on increased importance–community, cost of living and overall quality of life. And when you add the tangible benefits of being a physician assistant with the intangible, it becomes clear that New Hampshire is a great place to be. According to the U.S. Bureau of Labor Statistics, the mean annual wage for physician assistants across the country is $102,090. But in the Granite State, it’s even better. Yes, compensation is one of the top benefits of being a physician assistant in New Hampshire, where the mean annual wage is a whopping $112,670. That’s a number that tops states including New York, Massachusetts, California and Minnesota, according to government statistics. It wasn’t that long ago when many people–patients and physicians alike–weren’t quite sure what to make of physician assistants. Some were confused about exactly what PAs did in the clinical setting. Others simply refused to accept the fact that anyone other than a doctor could diagnose and treat illnesses. New Hampshire has always been different. One of the top benefits of being a physician assistant in New Hampshire is the appreciation that patients, community hospitals and physicians have shown for PAs. It’s why four out of the top 100 cities in the country for physician assistants are located in New Hampshire, according to ValuePenguin. Appreciation matters. And physician assistants are appreciated in New Hampshire. Thanks to the U.S. Bureau of Labor Statistics, you already know that job opportunities for physician assistants have exploded over the past couple of years and are expected to grow at a rate of more than 30 percent over the next few years. But did you know that New Hampshire is at the forefront of creating more opportunities for physician assistants? According to Becker’s ASC Review, physician assistant jobs increased by nearly 20 percent between 2015 and 2016. That means there are a lot of opportunities in the New Hampshire–and those opportunities are likely to continue to grow. No physician assistant should ever feel like an island, and you will never have to worry about feeling unsupported or all alone when you’re working as a PA in New Hampshire. Even if you don’t always realize it, the support provided by your colleagues is one of the top benefits of being a physician assistant in New Hampshire. The New Hampshire Society of Physician Assistants (NHSPA) is incredibly active and creative in providing PAs with opportunities for professional development, socialization, and plain old support. It may not be the biggest professional organization in the country, but it’s members will tell you it’s one of the best. Every PA is going to want to get away from the office once in a while, and there is no better state in which to escape than New Hampshire. You’ve got wonderful wilderness and mountains to the north, the Atlantic Ocean to the east, big cities, small towns and two of the countries largest metropolitan areas just short distances away in New York City and Boston. No matter your interests, you’ll be able to find it in New Hampshire. Are you ready for a New Hampshire physician assistant role? 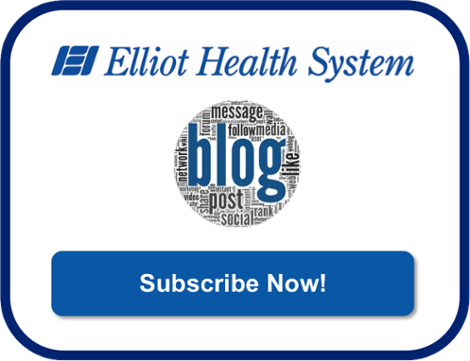 Apply to Elliot Health System! Has there ever been a better time to be a physician assistant? It’s a rhetorical question because everyone’s circumstances and situations are different. But, there’s no doubt that right now that it is a great time to be seeking physician assistant employment. Yes, physician assistants are making more money, adding more value and are in higher demand than ever. So maybe it wasn’t a rhetorical question. Maybe the answer is a clear: There has never been a better time to be a physician assistant. Especially if you’re working in the family medicine field. Family medicine is growing by leaps and bounds. According to the U.S. Health Resources & Services Administration, the country will need more than 20,000 primary care physicians in 2020. That means they’ll also need more physician assistants. In fact, the U.S. Bureau of Labor Statistics, physician assistant employment opportunities were expected to grow by a whopping 30 percent between 2014 and 2024. That’s much, much faster than the average for all occupations–and much of the demand was expected to be driven by the need for preventive care (family medicine). Physician assistants are in such high demand that 75 percent of them get multiple job offers, according to the American Association of Physician Assistants (AAPA). So, yes … now is a good time to be seeking physician assistant employment. And, it’s an every better time to work in a family medicine setting. 1) You get to do it all. One of the nice things about being a physician assistant in a family practice setting is that you never know what type of case is going to walk through the door. From rashes to common colds to symptoms of serious illness and disease, physician assistants are on the front lines of diagnosing and directing the care for a wide variety of cases. In family medicine, your job can include diagnosing and treating illnesses and injuries, making hospital rounds, managing chronic conditions, ordering and interpreting lab tests, performing minor surgical procedures and an array of other activities. 2) Independence. While there is a lot to be said for working as part of a team, autonomy can be equally as awesome–and physician assistants who work in a family medicine setting tend to have a lot of it. In fact, the AAPA reports that about 54 percent of all physician assistants working family medicine work in solo or group physician practices. This means they have a greater level of independence when it comes to diagnosing and treating injuries and illnesses. 3) Connections. Being a physician assistant in a family medicine setting is like being a small-town doctor. You will likely have a panel of patients for which you provide primary care, address urgent care issues and manage chronic diseases. You’ll build lasting connections with your patients that allows you to have a deep and meaningful influence on their short- and long-term health. Many physician assistants find that the connections they are able to forge with patients in a family medicine setting is the most rewarding aspect of the job. It’s possible that there has never been a better time to be a physician assistant–especially in a family medicine setting. Apply to Elliot Health System now and make the most of the opportunity. Physician Assistant, or PA, is an exciting healthcare profession celebrating its golden anniversary in 2017, but it’s showing no signs of old age. According to the Bureau of Labor Statistics, opportunities for PAs are expected to grow 30 percent by 2024, which is a much faster rate than most occupations. What are the origins of the Physician Assistant profession, and why has it continued to be such an in-demand position? Here’s a closer look at this challenging and rewarding career along with the events that have shaped it. The American Academy of PAs (AAPA) defines Physician Assistant as “a nationally certified and state-licensed medical professional” who works in teams with physicians and other healthcare providers. After graduation and certification, PAs continue an ongoing course of education during the extent of their career. While “Assistant” may sound secondary, PAs are skilled healthcare providers who make significant contributions to patient care. PAs are trained in general medicine with the ability to diagnose, treat and prescribe medicine, either on their own or in collaboration with a healthcare team. While the seeds of the PA profession were sown in 1940 in the rural South Carolina practice of Dr. Amos Johnson, who trained employee Henry Treadwell to become his assistant, the formal position developed in response to the critical shortage of medical personnel in the late 1950s. In 1961 Dr. Charles Hudson, the one-time president of the American Medical Association (AMA), saw an opportunity to solve two problems by employing medics and corpsmen returning from war as “mid-level providers” supplementing the existing body of medical personnel. These people had the advantage of first-hand experience working with patients in the high-stress arena of the battlefield. Dr. Hudson’s vision became reality four years later when Dr. Eugene Stead, Jr. of Duke University Medical Center launched the first Physician Assistant educational program in the United States, incorporating the fast-track medical training used during World War II. The initial class consisted of four former Navy medical corpsman, with three of them graduating in 1967. A 1965 article in Reader’s Digest about the healthcare industry made mention of Duke University’s fledgling program, triggering a number of inquiries from ex-military corpsman. The school began hosting national Physician Assistant conferences and ultimately formed the American Association of Physician Assistants, now known as the American Academy of Physician Assistants. As the Physician Assistant profession continued to grow, it was formally recognized by the AMA in 1971 and the organization began working on national certification criteria and standardization of practice characteristics. In 1974 the National Commission on Certification of Physician Assistants (NCCPA) was established and is still the only PA certification organization in the United States. Today the AAPA states that there are more than 115,500 certified PAs across the country, with patient interactions numbering more than 350 million. The Affordable Care Act (ACA) of 2010 recognized PAs as primary care providers, along with Physicians and Nurse Practitioners, and empowered PAs to lead patient medical teams. Will be part of the solution to the shortage of healthcare providers. There’s no doubt that Physician Assistants have taken a valuable role in healthcare solutions, both individually and in tandem with other healthcare practitioners. Are you seeking a new Physician Assistant position? Consider Elliot Health System. It was the 1960s and the United States was facing challenges on several fronts. President John F. Kennedy, a charismatic and inspiring leader, had been assassinated. Young men from every major city and small town had been sent to a jungle thousands of miles away to fight an unpopular war. Millions of Americans were taking to the streets in support of the civil rights movement. Thank goodness for the physician assistant. While an assassinated president, a war and riots in the streets are the three events widely viewed as the decade’s most important, another issue from the time has proven to be every bit as critical to the country–the introduction of the physician assistant to health care. While it didn’t generate many headlines, inspire people to take to the streets or throw the government into utter turmoil, the creation of physician assistant training in the 1960s did help the country deal with a physician shortage and forever changed the way healthcare services were delivered. And today, the role of the physician assistant has never been more important. The first physician assistants existed to provide basic medical services. They checked blood pressure, took temperatures and dealt with common, non-life-threatening illnesses. They truly were assistants to the physicians, there to expedite care and keep patients moving through clinics. Today, however, physician assistants are at the forefront of delivering care to patients who present with all types of ailments and illnesses. Physician assistants conduct physical exams, diagnose illnesses, develop treatment strategies, perform medical procedures, assist in surgery and even write prescriptions. And, there’s a good chance they’ll soon be doing even more. President Obama’s administration recently brought forward a proposal that would change federal rules and allow physician assistants to provide provide even more services to Medicare patients. The very first physician assistants were largely reactionary. Patients showed up in the clinic or hospital, and the physician assistant would try to address their health problems. Today’s physician assistants are at the tip of the spear when it comes to preventing illness–and that’s a big deal to the federal government, insurance companies and patients. The U.S. Department of Health and Human Services has made keeping people healthy a priority, and physician assistants are national leaders in the effort. Physician assistants educate patients about how their lifestyle choices affect their overall health. They create treatment plans for patients that involve coordinated care across specialty areas of medicine. And, they work directly with patients to implement the plans–all in an effort to promote good health, prevent disease and reduce the cost of healthcare. The nation’s healthcare system is and has been the focus of intense discussion and reform efforts. As the industry has been evaluated, two major issues of concern have emerged–access and cost. Physician assistants are leaders in working to reform both. A recent study published in the Journal of Clinical Outcomes Management showed that physician assistants significantly reduced healthcare costs. Researchers found that the higher the physician assistant-to-physician ratio, the less patients wound up paying for care. In addition, the country is once again in the throes of a doctor shortage. And once again, the country is turning to the physician assistant to ensure that people have access to the medical care they need. It took a half-century for it to happen, but physician assistants are finally being recognized for the important role they play–and have played–in shaping the past, present and future of healthcare. Are you a physician assistant searching for a rewarding role at a community hospital? Browse our open positions now. There’s a shortage of medical professionals in the United States, and everyone from the president to hospital administrators has put out the call for smart people to step forward and join the ranks of the caring and dedicated individuals who help keep the country healthy. So which one are you going to be–a physician assistant or a medical doctor? Both play critical roles promoting health and wellness by performing exams, diagnosing illnesses and prescribing treatments. Both professions are well-respected. Both are in high demand. But they come with different expectations, requirements and pressures. Fewer education requirements. Between an undergraduate degree, medical school and a residency, it can take up to 11 years before you become a medical doctor. On the other hand, it typically takes only six to seven years to become a physician assistant. The total amount of training required for physician assistants is roughly 12,400 hours. For medical doctors, it is roughly 34,000 hours. Student loans. Naturally, the less time you spend in post-secondary courses, the less money you’ll have to pay for tuition. The average medical school graduate has about $180,000 in student loan debt upon graduation, according to the Association of American Medical Colleges. A study conducted by the Physician Assistant Education Association found that 75 percent of physician assistant students expected to take on around $50,000 in student loan debt before graduating. A smaller debt load after graduation can go a long way towards improving your overall quality of life while you are establishing yourself in your new career. Flexibility. One of the biggest advantages of becoming a physician assistant is the professional flexibility the profession offers. After achieving your license, you can easily shift from one medical specialty to another–from an internist to a pediatrician, for example–without going back for additional training. This level of flexibility helps ensure that you can continue to challenge yourself and grow professionally, without leaving the hospital for which you work. Teamwork. There is a movement afoot in the healthcare industry towards patient-centered, team-based primary care–and physician assistants are an important part of the team. You’ll work with doctors, nurses, licensed practical nurses and others to ensure that patients receive the best care possible. Financial rewards. According to a recent article published by Forbes, the average compensation for physician assistants in the United States is $100,000. That’s nearly double what the average American household makes per year, according to the U.S. Census Bureau. Limits on your functions. Even though many physician assistants have the ability to care for patients outside of the clinic or hospital setting, there are rules that prohibit them from doing so. Lack of understanding. Even though physician assistants have been caring for patients since the mid-1960s, there is still a lack of understanding among some patients about the role they play in health care. Many physician assistants find that they spend a lot of time educating patients about what they do and how they do it. Lack of autonomy. If you’re a physician assistant, you will be able to work independently with patients, but your work will be closely supervised by a doctor. You also can’t open your own office–but that just means you’ll always be part of a team. Have you already succeeded in becoming a physician assistant? Consider what Elliot Health System has to off you. Physician assistants (PAs) are in high demand throughout the medical field, and that’s only expected to increase over the next decade. Because of the high demand and good median wage, entry into these educational programs is very competitive. Here’s what you need to know about the path to becoming a physician assistant. Bachelor’s degree – Most students in physician assistant programs already have a college degree. Ensuring that you meet these minimum requirements is essential for entry into a program to become a physician assistant. Without the proper preparation, you could miss valuable opportunities in top-notch programs. Once you’ve completed your program, you can take the Physician Assistant National Certifying Exam, or PANCE. This exam is offered by the NCCPA, or National Commission on Certification of Physician Assistants. Once you successfully pass the PANCE, you can begin using the title PA-C, or Physician Assistant-Certified. You must be licensed in the state where you intend to practice before you start practicing. States have a variety of requirements for PAs, but every state requires PAs to graduate from an accredited program and successfully pass the PANCE. For national certification, there are continuing requirements, such as 100 hours of CME (continuing medical education) credits completed in every 24-month period. National certification also requires that you take the PANRE (Physician Assistant National Recertifying Exam) once every ten years. After graduation and certification, you’ll likely be qualified for a number of different job opportunities, from entry-level positions in thriving private practices, to primary caregiver in small clinics, and beyond. PAs can perform a wide variety of healthcare-related tasks, and often work in tandem with other healthcare providers as part of a team that provides patient care. As PAs are more cost-effective than traditional physicians, they can expect to see job offers that run the gamut of healthcare. In fact, they are present and in high demand in every patient-centered healthcare field. Working as a PA offers the satisfaction of making a difference in the lives of others. This is a course of action that requires a large investment of time and hard work. It isn’t the path for everyone interested in healthcare, but the numerous, rewarding career opportunities are definitely worth considering. If you’d like to apply for a physician assistant career at Elliot Health System, click below. If you are part of the management team of a medical practice, you are keenly aware that matters related to human resources require more of your attention than you expected (and certainly more than you would like). Payroll, benefits, attendance, work schedules and vacation time are all issues requiring monitoring and administration. And those are just issues involving existing staff. Hiring new employees involves a myriad of other items, but none more important that the Nurse Practitioner or Physician Assistant Employment contract. When the parties negotiate an employment contract with clearly defined terms and conditions, it eliminates much of the uncertainty often present during the initial period of employment if not down the line as well. Such an agreement also gives both parties a solid foundation upon which a long lasting and mutually beneficial relationship can be built. By reducing confusion, you minimize the opportunity for disappointment and resentment, if not open conflict. This clause should clearly state the period of employment contemplated (subject to any Termination provision, addressed below) and the length of renewal, if any. If the NP or PA is to be strictly an hourly or salaried employee, this provision is quite simple. On the other hand, if the compensation package is more “entrepreneurial” in nature, the agreement should detail productivity and/or revenue projections and what performance standards must be met to trigger additional compensation. Not all value that an employee brings can be monetized, however. Are there intangibles for which the employee can be paid (such as cost-reduction through meeting efficiency targets or excellent patient satisfaction survey results, for example)? Vacation and sick time (which can be combined as “Personal Time Off “), group health benefits, and bonuses would all appropriately be contained in a Nurse Practitioner or Physician Assistant employment agreement. Notwithstanding the fact that the employment contract may have a defined duration, it should contain language that provides clear notice as to how employment may be terminated (even if it simply makes reference to the Policies and Procedures Manual of the practice). If that is the case, you must be certain to provide a copy of the Manual to the employee during onboarding and require that they sign an acknowledgment of receipt for it. The contract should clearly specify the insurance required, identify who is responsible for obtaining and maintaining the coverage and who has responsibility for the cost. This particular clause of any Nurse Practitioner or Physician Assistant employment contract requires extreme caution as states frequently legislate the extent to which an employer can limit an individual’s freedom to engage in his or her chosen provision. The above is, of course, not an exclusive list of all terms and conditions of a Nurse Practitioner or Physician Assistant employment contract that may be relevant to your particular circumstances. An employment law attorney can help you draft the appropriate document once you and the applicant have negotiated the terms of employment, thereby providing all involved the desired peace of mind and, hopefully, a healthy employment relationship. Did you enjoy this article? If so, please consider subscribing to receive more of our blogs.